We are excited to introduce you to our TRUCKERS – a line of ice cream sandwiches featuring combinations,both classic and new. TRUCKERS start with two chocolate wafer cookies, sandwich a layer of Big Gay Ice Cream in between and finish off with a roll in a unique topping or our house-blended sprinkles. These are the sandwiches we've wanted to make since our early years on Big Gay Ice Cream Truck and that's why we are calling them TRUCKERS. We'll be introducing new TRUCKERS regularly at our shops. 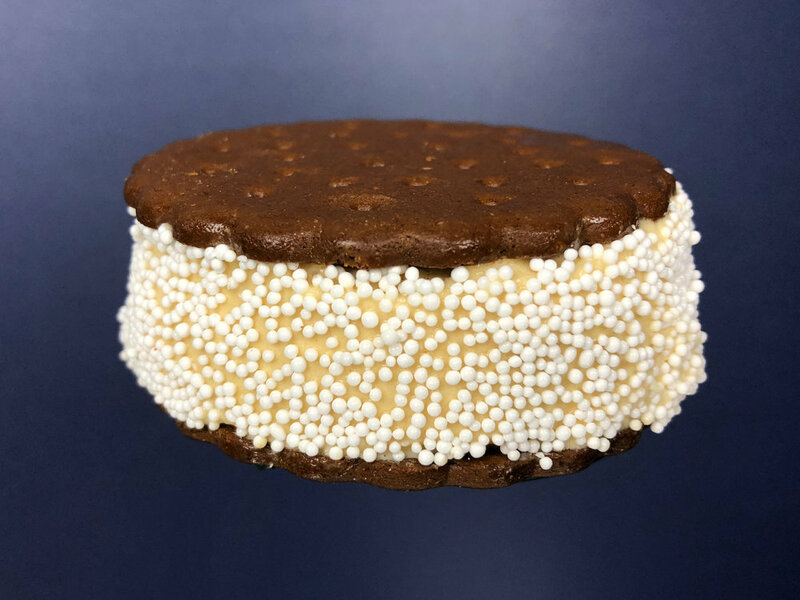 Our menu offerings will rotate but our two Simple Sally mainstays- the SALLY V. (vanilla ice cream and rainbow sprinkles) and the SALLY C. (chocolate ice cream and chocolate sprinkles)- will always in stock. We're sure everyone will find a TRUCKER that you'll want to drive home with and they're in luck. We'll be selling them individually and in sweet-deal six-packs. We hope you love these and agree with us that it's time to get Trucked! TRUCKERS are sold at all Big Gay Ice Cream shops.